The FAB, First Daughters of the United States became part of history when their father was elected and became the first African American president. They seem to be handling the constant spotlight very well, and enjoy First Daughter perks such as living in the White House, meeting Beyonce, having private concerts with acts such as the Jonas Brothers, and flying all over the world. See more photos of the FAB duo under the jump! 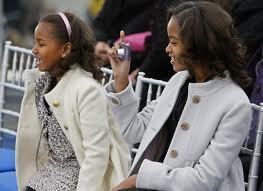 FAB First Mom Michelle Obama has done an excellent job of dressing the girls in age appropriate, fashionable threads. 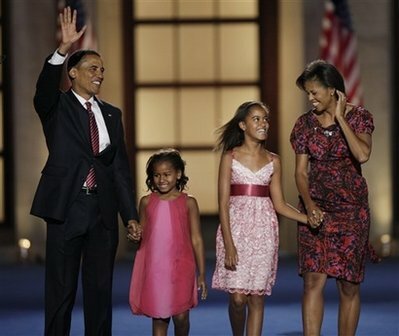 We love the First Family!